I’ve wanted to recreate a “frappe” or frappuccino at home for a while now since I had a full on obsession with them when they came out in like 2004. But after learning that they had enough calories to sink a boat I strayed back to my americano. Whew, muffin top averted. If you’ve never had cold brew coffee you should. The way I make it you grind bold coffee, put it in a large bowl with water, then slide it in the fridge overnight. The next morning you have fresh coffee awaiting you beside your gallon of milk and half-used carton of eggs. Easy – it’s like stowing away a personal barista in your kitchen without the temptation of an 1,800 calorie muffin on the side. Oh delight! So in the morning, you strain your coffee. I did ours in our Chemex, which is bomb. But can also do it over cheesecloth and a strainer, or in a french press. 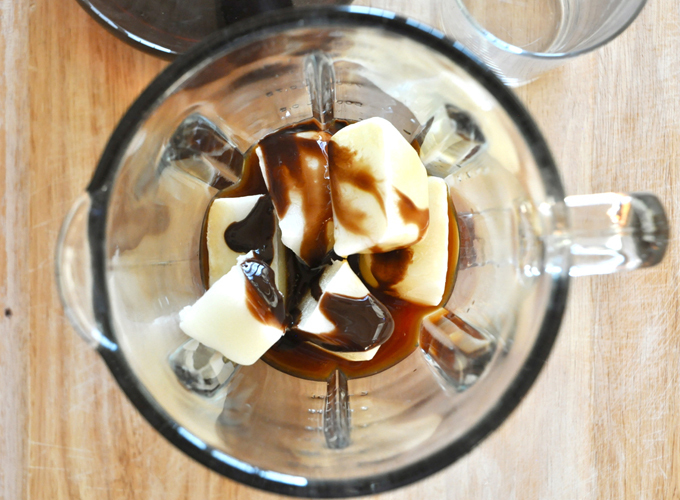 Then you add it to a blender with frozen milk cubes and a dash of chocolate syrup, and wa-la! You have a cold brew frappe that rivals any coffee house offering. Good morning indeed. 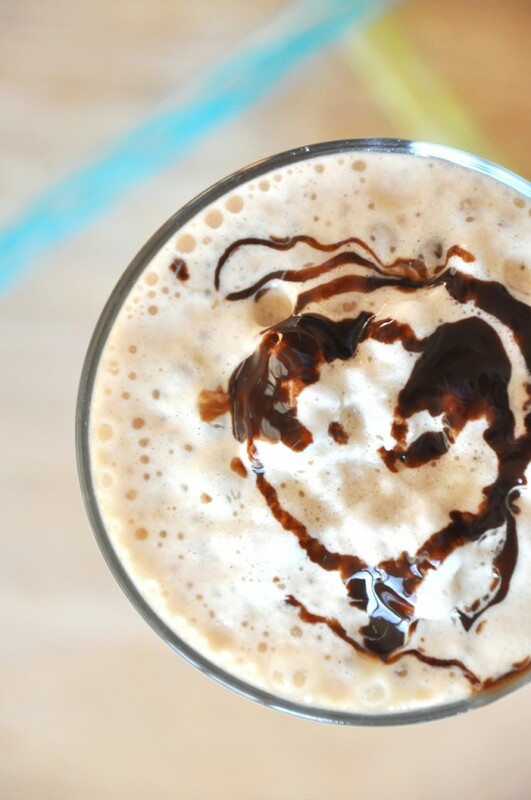 This 3-ingredient mocha frappe is made with cold brew coffee, milk ice cubes, and a dash of chocolate syrup. In other words, creamy, bold, and delicious. 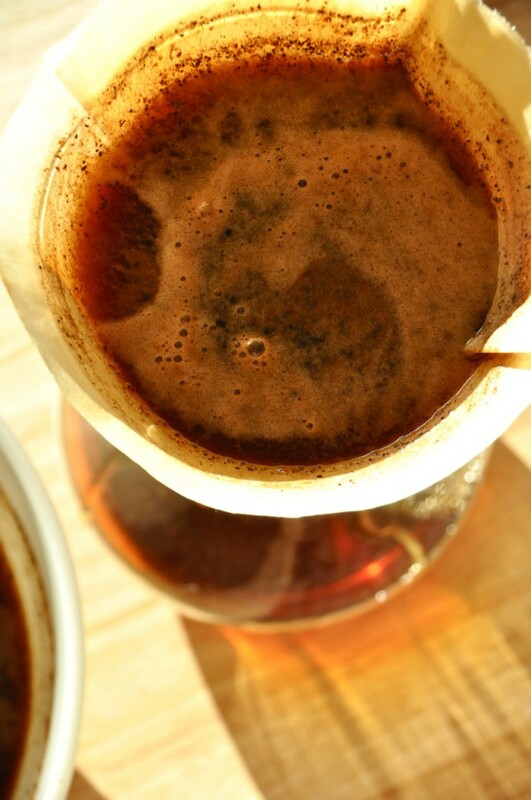 To prepare cold brew, place 2 cups ground coffee - the bolder the better - into a bowl, top it with 4 cups of water and place it in the refrigerator overnight. Strain in the morning and reserve the leftover in the fridge. Prepare milk ice cubes in advance by pouring your milk of choice in an ice cube tray, covering lightly with saran wrap, and freezing over night. 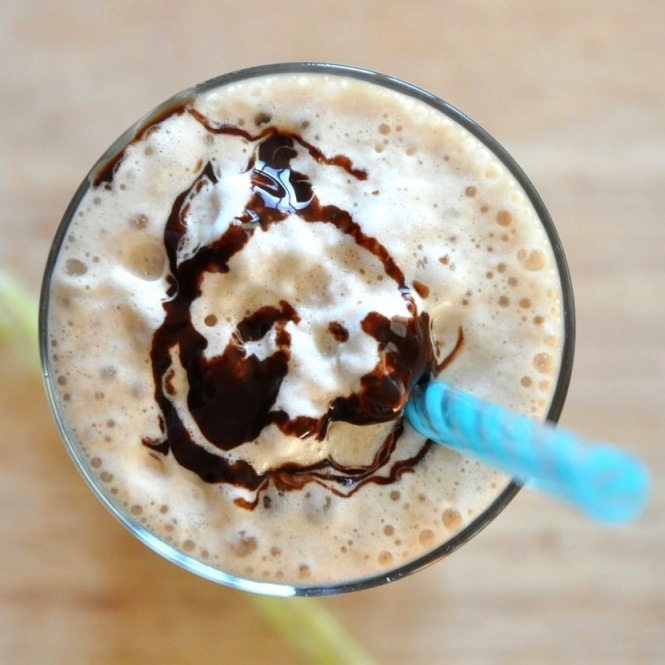 Choose non-dairy milk to make this vegan friendly. I went with 2% for an extra creamy texture. 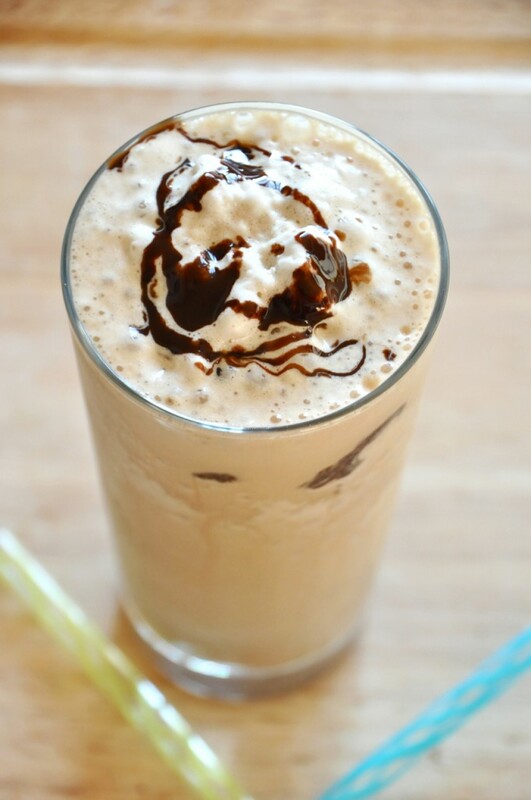 In the morning, place 1 cup coffee, 8 milk ice cubes and as much chocolate sauce as desired in a blender and blend until smooth (amounts as original recipe is written // adjust if altering batch size). Serve immediately. Is “cups of ground coffee” correct? Seems like a lot of grounds. I like everything that I cook from here. My son recommended it and he has the cookbook but we always ended up going to your website. You guys are just awesome!! Mmmm this was simple but just what I needed on a warm, late summer day. Delicious! I can’t wait to try this! What kind of Chocolate syrup did you use? 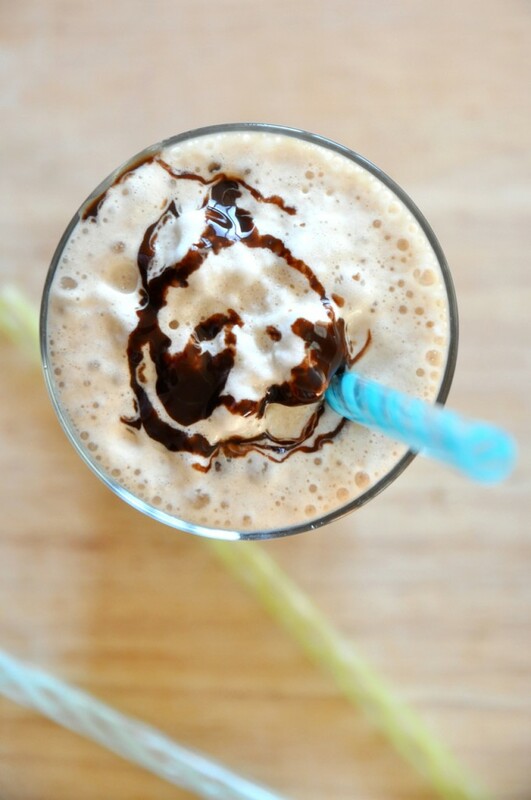 I have a thing for frappes too, but hate the massive amount of calories that come with them. I’ve been making my own at home for a couple of years now, but I always freeze the coffee, not the milk. 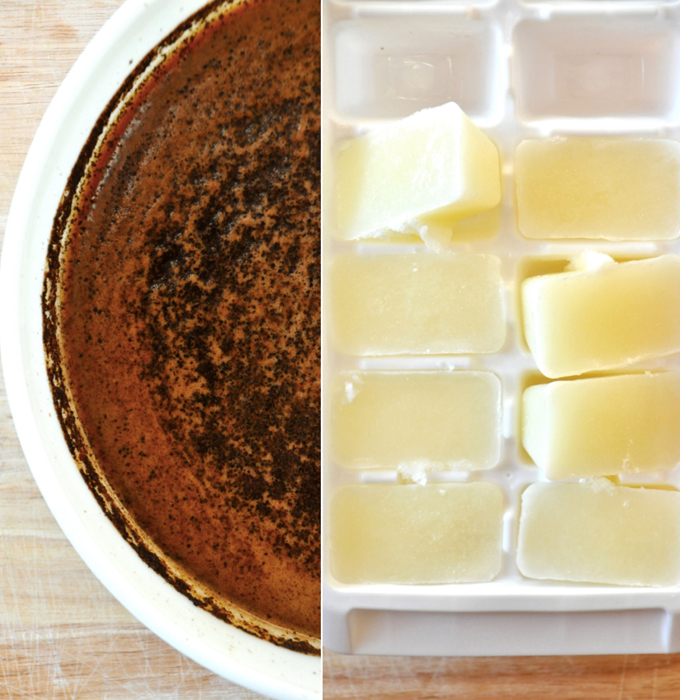 However, your method would work better in some ways because the coffee stains the ice cube trays pretty badly, meaning you have to use one tray exclusively for that. I also have yet to try cold brew coffee. I really need to though, don’t I? Wow….I have kept milk in my ice tray.. Will serve this after dinner tonight. I love it….am sure my hubby would also like it. Definitely a great recipe! … I did have an issue with freezing soy milk cubes though – they stuck to the tray and I had to chisel them out. Does almond milk act the same when frozen in ice cube trays? Thanks for all the great recipes!!! Hmm, I’ve not frozen soy cubes. My almond and coconut always work great! Thanks for the kind words, Katy! I meant to rate it as a 5 not a 4 star! sorry! Wow! I just made this on a somewhat chilly November morning but it totally hits the spot! I’ve been missing the occasional frappe from Starbucks ever since I went dairy free, and now I have something to satisfy my craving. Thank you!!! My husband, who isn’t vegan, slurped up the almond milk version too! I found that 2tbsp syrup was more than enough for me! i may really like to learn cards, it is usually an extremely hard to kick gameplay. Here’s a sugar free, non-dairy version. About 110 calories per 12 oz. Blend on HIGH for 45-seconds or until smooth. Makes about. 48 oz. The Jello pudding cup makes a thick, rich, low calorie Frappuccino. Hi, I tried your idea using some already made chocolate pudding I had in the fridge. Wow!!! So glad I found your comment!! It binds the ice and coffee together so nicely!! Love it!! Thank you!! Yum! 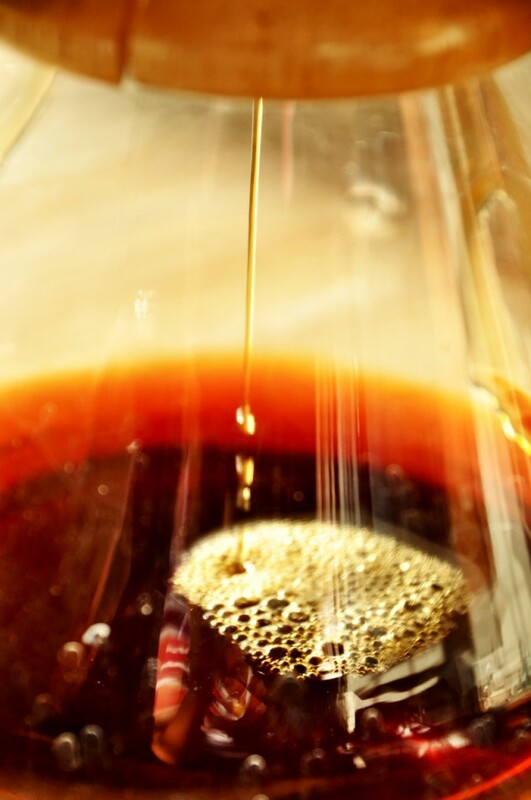 I have been wondering how to make cold brew coffee. Thank you! I’m totally making this later this week! I love cold brewed coffee! I’ve been doing it all summer. I didn’t think about frozen milk cubes but I definitely need to give it a try, maybe with coconut milk..
You are brilliant! Can’t wait to try this! On the lookout now for ice cube trays. 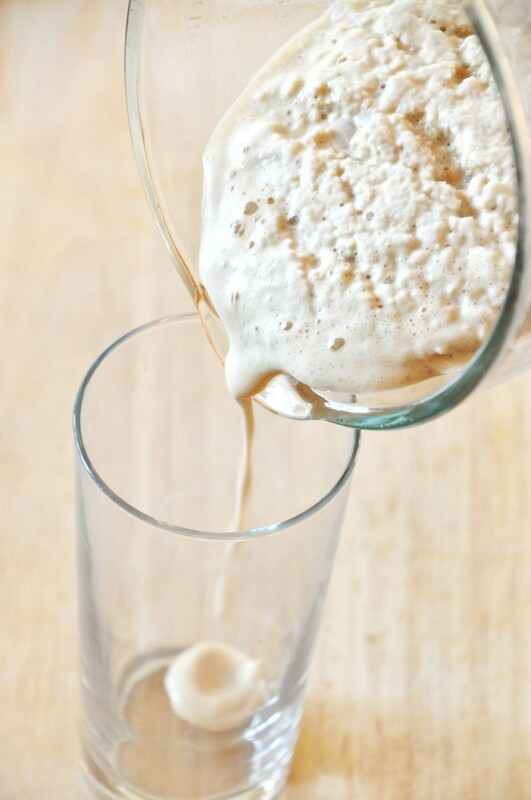 I am a cold-brewed coffee only girl-so much better! 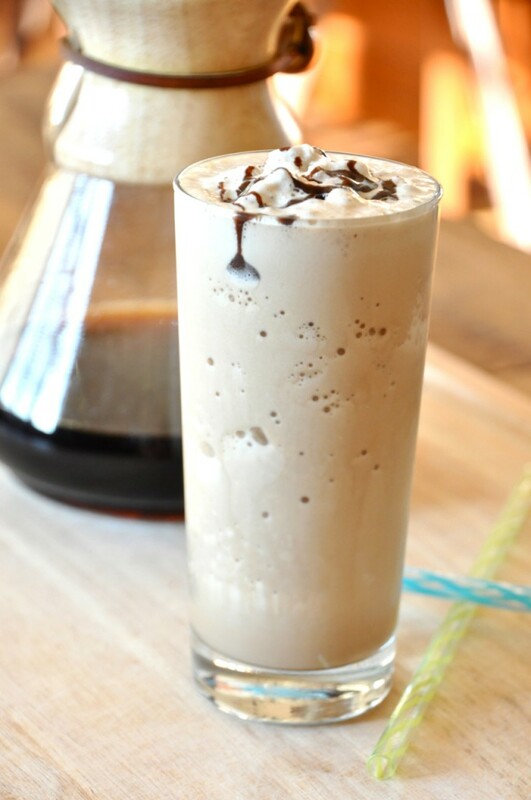 I have tried making frappe, but in a different way, and I was never completely satisfied (I froze the coffee into cubes and added milk before blending) so I will have to try it this way. Looks fab! I like the new header! I also like this recipe. I need to create milk cubes, but I don’t have a ice tray!